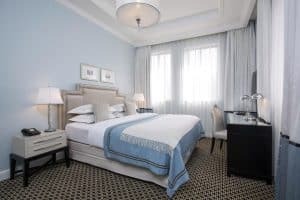 Offering garden-view rooms with free Wi-Fi and a flat-screen TV, the luxurious Bay Club – an Atlas Boutique Hotel is half way between Haifa Bay and the peak of Mount Carmel. The style of the property is inspired by the famous resort towns of the Mediterranean Sea.Guests benefit from free shuttle to the Bahai Gardens tour. Air-conditioned rooms at the Atlas Boutique include a fridge, seating area, and electric kettle with tea and coffee. The private bathroom has a bath or shower. Some rooms feature a terrace. 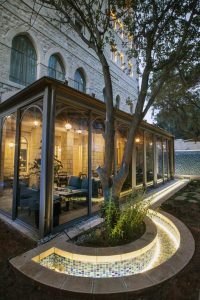 An Israeli breakfast is served daily in the spacious lounge which opens on the garden with pond fountain. It includes cheese, eggs, and bread, along with cold drinks. In the afternoon of weekdays you can enjoy free drinks and appetizers in the lounge. The Israeli National Maritime Museum is 500 m away, while Haifa Airport is 12 km from the property. In 10 minutes you can drive to the Mediterranean Sea and the Bahai Gardens.